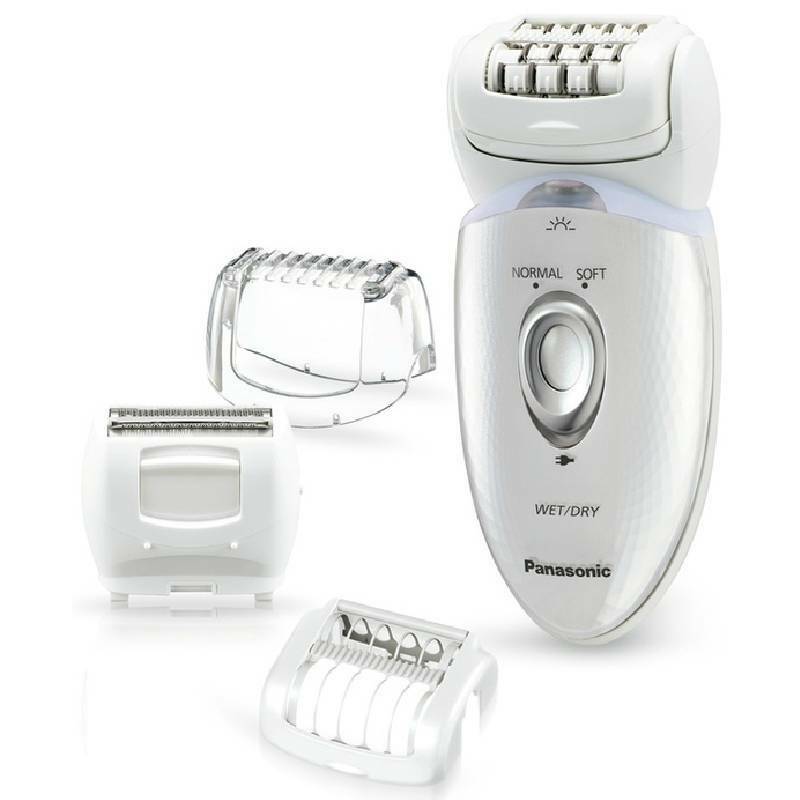 https://nicebeauty.com/eu/panasonic-epilator-wetdry-es-ed53-w503.html 70314 Panasonic Epilator Wet/Dry (ES-ED53-W503) 116.90 9 EUR InStock /Brands/Panasonic 0 Panasonic Epilator Wet / Dry (ES-ED53-W503) is a nice and feminine epilator that ensures a gentle and effective hair removal. With this device, hair removal can take place both in the bath and not in the bathroom. The epilator has double slices in the head that provide a close shave as the number two removes the hair, the disc number one must have failed to remove. These twin slices ensure efficiency in each movement as well as a sliding, easy movement that benefits both your skin and you. The epilator is equipped with a total of 48 tweezers in the discs, where the head extremities can move 60 degrees. In addition, you are guaranteed a significantly better epilation as the body's contours are taken into account. The epilator head is equipped with skin protection, which ensures that only hair and skin are removed. As an additional feature, the epilator can operate at two different speeds, it is washable and has LED lights built-in. 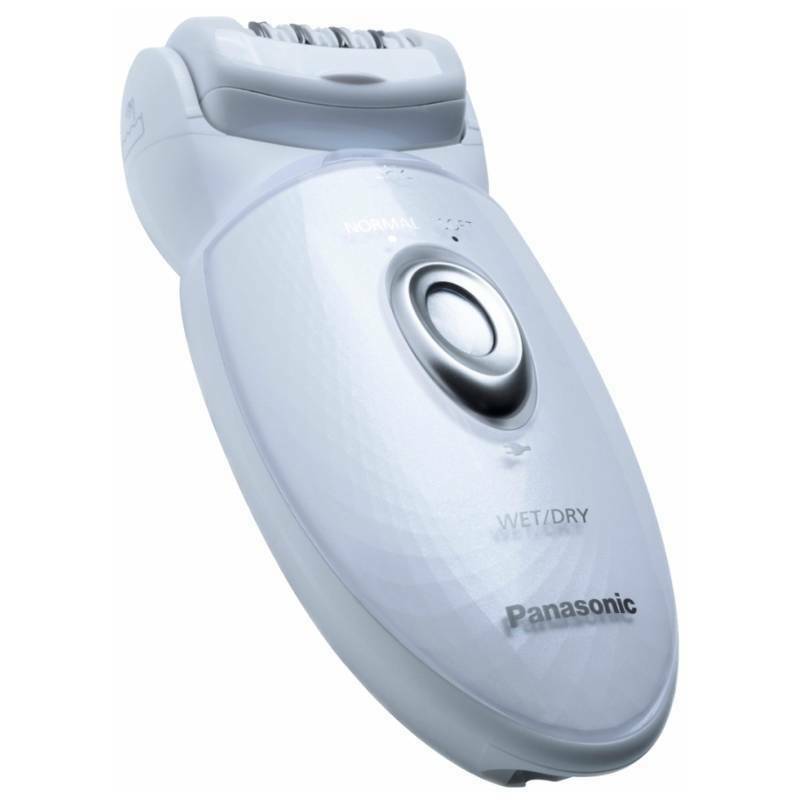 Panasonic Epilator Wet / Dry (ES-ED53-W503) is a nice and feminine epilator that ensures a gentle and effective hair removal. With this device, hair removal can take place both in the bath and not in the bathroom. The epilator has double slices in the head that provide a close shave as the number two removes the hair, the disc number one must have failed to remove. These twin slices ensure efficiency in each movement as well as a sliding, easy movement that benefits both your skin and you. The epilator is equipped with a total of 48 tweezers in the discs, where the head extremities can move 60 degrees. In addition, you are guaranteed a significantly better epilation as the body's contours are taken into account. The epilator head is equipped with skin protection, which ensures that only hair and skin are removed. As an additional feature, the epilator can operate at two different speeds, it is washable and has LED lights built-in.